We wish you a Merry Christmas and a Happy New Year! On this occasion we inform you that the company will be closed from 22/12/2018 to 01/01/2019. With our dealer Megarex we will be present at the renowned international fair, which will be held in Moscow at the VDNkHa fairground - Hall 75, Stand 2B12. Come and visit us, we will show you the full range of our balers, shear balers and multi-material balers! Always present at Ecomondo, the leading fair of the green and circular economy in the Euro-Mediterranean area. Come and visit us! Rimini Exhibition Center | Hall C3 stand 080. This year we will also fly to England to the well-known METALS RECYCLING EVENTS which will be held at NAEC Stoneleigh, one of the leading exhibition venues in the United Kingdom. Visit us to see our S6000, the most appreciated ELV (End of Life Vehicle) baler in the UK. From May 27 untill May 30 will take place in Barcellona / Sofia Hotel the annual BIR "World Recycling Convention & Exhibition", one of the biggest fight for companies in the recycling industry. As a new member company of the association, we will not surely fail! Here we are once again at the world’s leading trade fair for waste and raw materials management. 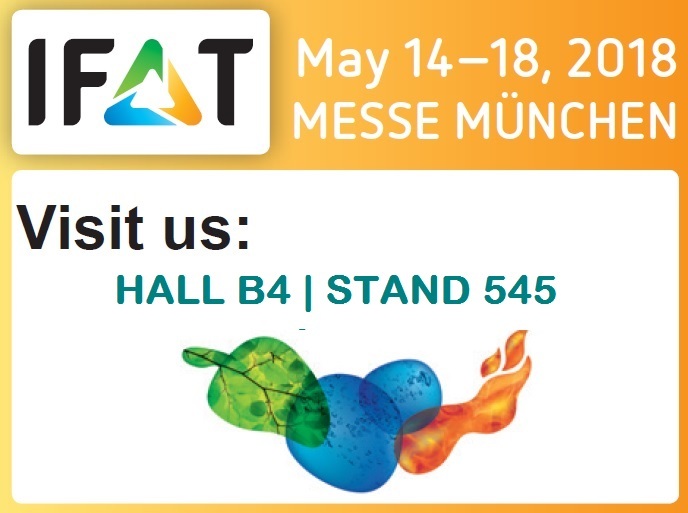 Come and visit us at the Munich Trade Fair Center, Hall B4 – Booth 545! We will attend with our dealer Megarex the MOSCOW INTERNATIONAL RECYCLING EXPO 2018, the greatest scrap-event of 2018 in Russia that will take place on 26 – 29 March in Radisson Royal Hotel, Moscow, Russia. Ready to leave! !